Through baptism we welcome our newest members. 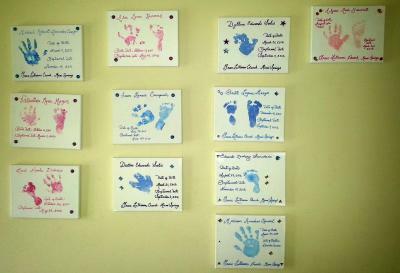 As part of this glorious celebration, we dedicated a wall of baptismal plaques in the Narthex. This is a Project of the Cradle Roll from our Education Board. INTERESTED IN BAPTISMS? FIRST COMMUNION? WEDDINGS?